Well, after a long time, today we are come along with an awesome article that is the top websites which pay you for the writing reviews. 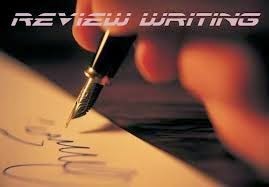 We have written an article like How to make money with writing reviews. In this internet world, there are lots of websites are available where you can make money only by writing reviews. You can also take help of Google. Writing reviews is not an difficult task. Just go through with full description and than write it. According to me it is an convenient method to make money online. When you write an post with full dedication and just waiting for the review, this feeling is awesome. So with the help of these sites you can update your articles and earn a good amount. Below I have mentioned almost 10+ websites that pay you to write reviews. And almost all sites used Paypal for their payment transaction. So go through with this post and i will assure you that you will like this post. This business is started since 2000 and have served thousands of customers and users across the world. This buy blog reviews is a popular website and a new service, this will not only allow you to get your items, products or services reviewed by professionals and ordinary bloggers but you’ll also get whatever you need for your blog and website to gain qualified search engine traffic. You will get paid for your favorite article. The payment option is through Paypal. It is also one of my favorite marketplace where an number of users can just make money by writing reviews. It is an powerful marketplace of web authors and users will review your item, product or service on their Web site sending your site traffic and invaluable feedback. The payment transaction can be possible with PayPal, Reviewme Prepaid MasterCard® and Check. It creates an powerful bonding relationship between advertisers and bloggers. An blogger or freelancer can willing to write paid posts about their services and products. You can earn a good amount of money by writing honest posts about our advertiser's products and services. The next site which provide you the best opportunity to write reviews and get huge traffic from it is Blogging Ads. This is a very popular review site where you can earn lots of money easily. You not only write articles their but also grab huge traffic for your own website and blog. The payment option is Paypal. It is one of the best largest and innovative marketplace which bond an relationship between authors and partners. It fits your marketing needs. This site is consist of text link ads, paid blog reviews, in-text links, in-content pay per click ads, rotating text ads, hosted content pages, article submission, directory submission etc. It is based in Dallas, Texas. It is free of cost, you can join it. It is the lifeblood of the internet. It is consider one of the largest and popular marketplace where you can just review your articles. Just make sure you written article is good enough. The payment option is Paypal and you will learn about electronics, clothing and travel etc. It is an IZEA's premium blog marketing platform where you can interact with your fellow customers. We connect advertisers with blog publishers to create sponsored blog posts. You can sign up at free of cost. Start earning as a publisher. This is also one of my favorite review site where you can write any of your own choice article. It is the largest one website where thousands of users are already joined. You can also joined it at free of cost. The payment mode is Paypal and check. The tag line is "unbiased reviews by real people". It is not only allow your post to review but also provide an huge traffic to your website or blog. The more popular your website or blog is, the more you get paid, and every Blog or website is valuable. The payment mode is through Paypal. Last but not the least, the best and largest marketplace is pay per post. The minimum payout is $50. And the payment option is Paypal.